Located in the Beverly Grove neighborhood of Los Angeles, IMT Beverly Arnaz places you exactly where you want to be. You’ll be close to Beverly Hills, one and a half miles from Rodeo Drive, and adjacent to West Hollywood. Our central location places you close to rich entertainment and cultural districts, as well as recreation and the conveniences of daily life. Pick up groceries at Whole Foods or Trader Joe’s on your way home from work, or enjoy the fabulous dining at Spago. Living in LA means immersing yourself in cinema culture. Check out indie and arthouse films at Laemmle’s Music City 3, then grab a cup of organic coffee at Urth Caffé once you’re done. At IMT Beverly Arnaz, the conveniences of daily life come easily. Residents with children appreciate our location near schools, including Rosewood Avenue Elementary School and Fairfax High School. Major employers in the area include Cedars-Sinai Medical Center, UCLA, and the City of Los Angeles. Commute to work with easy access to U.S. Route 101 and U.S. Route 405. Pick up prescriptions at nearby Beverly Hills Medical Plaza Pharmacy. Learn more about the neighborhood and our apartments for rent near Beverly Hills and West Hollywood.  Contact IMT Beverly Arnaz today to schedule your personal tour.